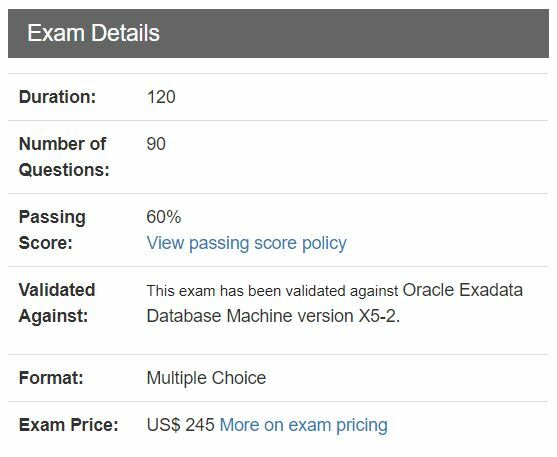 Finally, I’ve successfully passed 1Z0-070, Oracle Exadata X5 Administration. It was almost more than 3 months that I’ve been preparing for this. The Exam contains 90 questions related to Exadata X5 and X6. To earn this certification you need to get 60% marks. 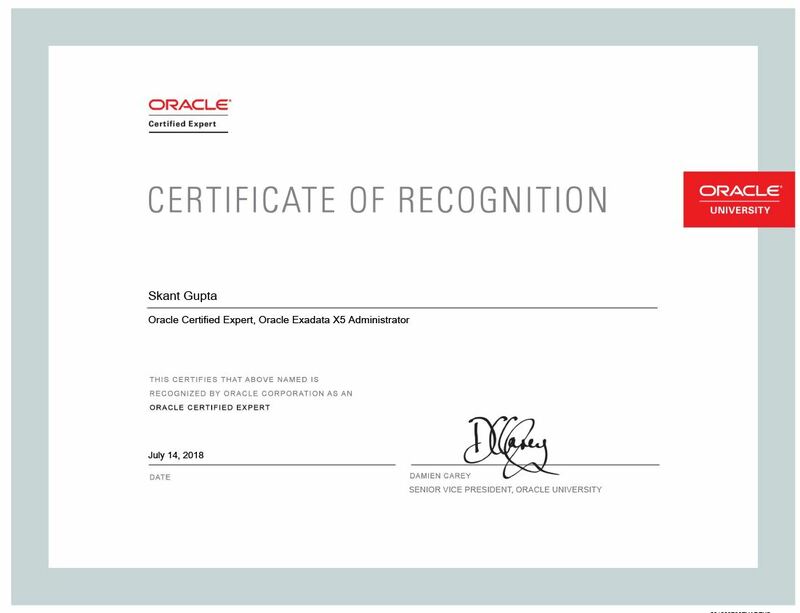 This was the result of the journey: Oracle Certified Expert, Oracle Exadata X5 Administrator. How to Achieve this Certification? Before appearing to this exam you must have the vast knowledge of Exadata & it’s features and components. For more detail, you can follow the below link. If you want to enroll exam, please click on below link. Below are the Exam Details related to scoring. Joel Perez is an Oracle OCM and ACED who gave an opportunity to write him and motivating me to learn new things. I’m very thankful to him as this was the kick off for my studies.